I can’t believe how quickly this year has whizzed past. As this is only my third post of the year, *looks sheepishly at screen*, it probably goes without saying I’ve found it hard to keep up with work, gardening and other commitments. Something had to give and unfortunately that turned out to be this blog. It’s been a year of trying to focus on what’s important. Lots of seizing the day, grasping the nettle and all manner of other cheesy clichés. There’s nothing like turning forty and having an operation to make you look at life with renewed vigour. There have been garden visits a plenty, which will provide lots of blog post potential if I can ever get back into the blogging groove, a ‘100km in a year’ swimming challenge (I’m at 63km), and my allotment flowers appeared on the front cover of the RHS The Garden magazine. Next up is a project that I’m really excited about. I’ve been invited to give a class on propagation by the fantastic flower grower-florist Sarah Statham of Simply by Arrangement at her gorgeous garden and workshop in Yorkshire. Forget about the post-holiday blues and the darker nights because Sarah and I have planned a day that will celebrate all that the early autumn garden has to offer. In the morning I’ll show workshop guests how to propagate pelargoniums and salvias. You’ll get to take cuttings from a selection of great varieties, which you’ll take home in vintage clay pots and a handmade seed tray. Lunch will be a delicious affair created by Christie, Sarah’s business partner who’s otherwise known as Mrs B. Mrs B’s food has become legendary among workshop attendees, so guests are in for a treat. 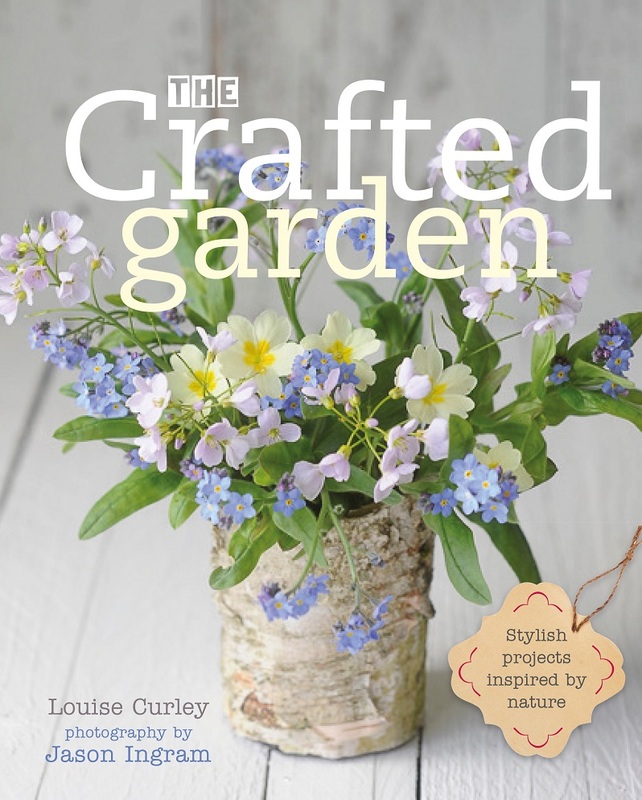 Then, in the afternoon, you’ll be able to pick from a selection of flowers and foliage from Sarah’s garden, my cutting patch and local flower growers to make a stunning table arrangement to take home. There’ll be dahlias galore! Sarah will be on hand to offer advice on how to arrange – have a look at her Instagram feed to see her gorgeous floral creations. The course starts at 10.30am at Sarah’s workshop near Hebden Bridge in West Yorkshire and will finish about 4.30pm. The cost is £180 and this includes lunch and refreshments throughout the day. And … there’s only one place left! If you fancy extending your stay in the area you won’t be disappointed. The nearby town of Hebden Bridge is a mecca for lovers of independent shops. It’s nestled in the glorious Pennines, which should still be clad in purple heather, and the Rochdale Canal meanders through the valley. I can highly recommend a walk at the nearby Hardcastle Crags too, and if you’re a lover of the Brontes, Haworth is only a short drive away. For more details go to simplybyarrangement.co.uk and to book a place contact Sarah at simplybyarrangement@sky.com. The Gwent Levels near my home in Monmouthshire are entirely man-made. Skirting the northern edge of the Severn Estuary they are one of the largest surviving areas of ancient, grazed wetlands left in Britain. It’s an area where humans have worked with nature and water to create a sustainable place in which they could live. The Romans first reclaimed this land by building sea defences. It’s believed horses from the nearby Roman fortress of Caerleon grazed on fields reclaimed from the sea. After the Romans left, the sea reclaimed the land. The landscape you can see now dates back to the medieval period, although it’s believed many of the drainage systems follow those built by the Romans. And it’s the intricate drainage network which manages rainfall that makes this such an incredible place. I’ll admit when we first visited one of the reserves on the Gwent Levels just after we had moved to the area I was a little underwhelmed. At first glance the landscape can appear unremarkable. It has none of the drama of the Cornish coast, Snowdonia or the Lake District, none of the classic beauty of the Cotswolds or the Yorkshire Dales. But it didn’t take long for me to discover that I just needed to look a bit closer to discover the delights of this watery world. Rich in a variety of habitats – coastal and floodplain grazing marsh, wet meadows, reedbeds and saline lagoon – this is fertile land that is criss-crossed with a series of drainage channels. Water is held in the ditches from spring to autumn to provide water for agriculture. These high levels of water also provide the perfect conditions for plants and animals. In winter, pens (wooden planks) are lifted causing the water levels to drop allowing the ditches to be flushed and controlling winter flood water. Ridge and furrow ploughing was practiced on these fields as it would have been across the UK during the Middle Ages – the raised ridges encouraged better drainage than a flat field. Water would run off the fields into gullies known as gripes, then into a series of field drainage ditches and finally into more substantial watercourses known as reens, from the Welsh rhewyn. Pollarded willows were often grown along reens to strengthen the banks and you can still see these oddly shaped trees at Magor Marsh. Magor Marsh is a reserve on the Levels managed by Gwent Wildlife Trust with boardwalks taking visitors through the landscape. It’s also home to a thriving population of water voles following a reintroduction programme in 2012. For nine years prior to this, this once common species had been absent from the Levels. One of our cutest creatures it also has the less envious title of the nation’s fastest declining wild mammal, according to the Wildlife Trusts. It’s always been a creature I’ve wanted to see in the wild, but a sighting had so far eluded us, that is until last spring. We’d heard they were there, but our previous visits had been like those at the zoo when you stand at the enclosure searching high and low for the creature that is meant to reside there but to no avail. So we couldn’t believe our luck when we heard the distinctive plop as one left the bank to swim across the reen. Then there was another and another. Our best count so far is ten in one day. This isn’t a place you need to trek to for hours. They’re right by the car park. This fabulous little reserve means we’ve seen young and old, the fit and those less able watching these delightful wild animals. All walk away with a grin on their face. The reens teem with life, whether it’s the great silver water beetle, the musk beetle, the flowering rush, or a whole host of rare aquatic plant species. In winter, it’s a bleak landscape open to the large skies above, with willows silhouetted against the low winter sun and the wind whistling through this flat land. The silvery, fat, furry buds of willow appear as warmth creeps back into the sun and green shoots start to emerge. This is the best time to catch a glimpse of the water voles, before the reeds take over the reen banks. Wander through the boardwalks in May to the wetland meadow and you’ll see one of the most magical sights – a whole field of ragged robin. Hidden among the willows and alder you can come across scarlet elf caps, a name which sounds like it was conjured up by Enid Blyton. The reeds grow at an incredible rate in summer making it tricky to see the water voles scurrying into their burrows. Brown hares, otters and lapwings live here too, along with a good population of farmland birds whose habitat is threatened in many parts of the country. The unimproved grasslands are also home to the shrill carder bee, one of the UK’s rarest bumblebees. The Levels would be an area under water if they weren’t managed correctly. Flora and fauna thrive, as do the villages, as long as everyone plays their part. The landowners, farmers, drainage boards, councils and wildlife charities all have to come together if the drainage channels are to work effectively. If the Levels work as they should the flood plains of the River Usk, absorbing excess rainwater coming downstream and from the surrounding hillsides, can work properly too. Despite the Gwent Levels being home to nationally important wildlife this appears to not matter as an extension to the M4 motorway will cut through a section of the Levels. The idea is to relieve congestion where the current motorway is squeezed from three lanes down to two at the Brynglas Tunnels, a well-known, local bottleneck. This ancient landscape will have a whopping great big motorway carved through it. This road would pass through four Sites of Special Scientific Interest and very close to Magor Marsh, also a SSSI, thereby disregarding all those studies which show wildlife needs to be able to move and spread out in order to thrive. Much has been done across the country to create wildlife corridors; here it will be a corridor of concrete and tarmac. And, in light of this winter’s flooding, is it really a wise move to build in an area prone to high water levels? With traffic jams that can stretch from Newport to Bristol on a Friday evening a solution is needed, but there were other options, ones which would have protected the Levels and cost significantly less money. What the Gwent Levels show is the willingness of politicians to disregard the protections they came up with in the first place, rendering them meaningless. It also shows that politicians invariably choose the most obvious, but not always the most effective, solution to a problem. It’s sad to think that the hard work done to re-establish water voles could all be for nothing and that this ancient, beautiful landscape will, over the coming years, change forever. What would you do if your home, your business and your allotment were deluged by water? I’ve been incredibly lucky to never experience this kind of flooding, so I can only imagine how devastating it would be to hear the sirens signalling the imminent threat of flooding, to watch as streets became rivers and to see the flood waters rise. On Christmas Day night and Boxing Day this is what many in the north of England were faced with as the rain kept on falling. There had been floods earlier in December in Cumbria and there have been more since, particularly in Scotland, but when it hits somewhere you know and love, when it threatens family and friends, it takes on another dimension. Market Street, Hebden Bridge, with kind permission of Helen Baron. Taken from above her shop Ribbon Circus which was damaged in the floods. The Calder Valley sits below a stretch of the Pennines in West Yorkshire. Wellyman grew up here, we were married here and it’s somewhere I’ve come to think of as my adopted home. I love its stunning, rugged beauty, the fantastic market towns and great community spirit. Then the rain came, the rivers swelled and the flood waters rose. This is an area accustomed to a degree of flooding; the topography, a steep-sided valley with rivers running through it, makes it somewhat inevitable, but what happened this Christmas was beyond anything that had been seen before. At one point, in the main streets of Mytholmroyd the water was as high as the shop signs above doors and windows. It inundated homes and businesses, damaged bridges and lifted road surfaces. It would be one thing if this was clean water but it isn’t, it’s full of whatever it has swept with it – debris, mud and, worst of all, sewage from the overwhelmed sewers. It has been heart-breaking to see the footage of the destruction the floods have caused. For some time now the market town of Hebden Bridge has been a beacon for independent shops and has gained a reputation for its quirkiness, profusion of organic shops and ethically sourced products. We make a bee-line for the town whenever we’re in the area. Many of us decry the loss of the nation’s high streets and the homogenisation of shopping due to out-of-town developments and massive superstores. Hebden has been a model for what a town can be, a thriving community with an eclectic mix of small businesses supporting the local economy. Whether it’s the food shops which supply local produce, the independent bookshop, the art and crafts supplier and the whole host of galleries, clothes and gift shops, this is a place where shopping is a pleasurable experience. I normally can’t stand the prospect of having to go shopping, the thought of fighting through the crowds and being blasted by loud music mean I spend as little time in shopping centres as possible. Hebden is so different. I could happily spend a whole day pottering around here, having a delicious lunch and then a wander by the canal or up to Hardcastle Craggs, a local beauty spot. Then there’s the Hebden Bridge Picture House one of the last surviving civic-owned cinemas in Britain and the Little Theatre Company formed in 1924. This is a town which celebrates creativity and community. One of these businesses is the Snug Gallery run by Ed Chadwick. Ed is a photographer who has created a highly regarded gallery which showcases incredibly talented artists from across the country, including his partner Jill Shaddock’s beautiful ceramics. On Boxing Day Ed and his partner Jill faced the triple whammy of having their home and their business deluged, and their allotment washed away. What do you say to people who have had their world turned upside? Wellyman and I met Ed last summer; I think it might have been raining then too. A mutual friend, Sarah, knew we were in town and said we should pop by the gallery and say hello. Her text went something like, ‘He has an incredible allotment, you’ll have lots to talk about’. And we did. Ed showed us photos of his plot on Instagram, we chatted about potato varieties and our dahlia obsessions. Later that day, after a walk by the canal we took a wander past Ed and Jill’s allotment. It was stunning, not just an allotment but their garden. Now it’s all washed away. Hebden Bridge has come back to life after previous, albeit less damaging floods, it has also survived the decline of manufacturing and the mills to reinvent itself. But this flood has really knocked the stuffing out of people. Many businesses haven’t been able to get insurance against flooding for some time now. There’s a fear that people will leave, that businesses won’t reopen and what will happen to the town then? Flooding isn’t going to go away. Perhaps there are ways to alleviate the ferocity of future floods. There has been talk of damage to the moorland above the town caused by possible over management of a grouse shoot. http://www.theguardian.com/commentisfree/2015/dec/29/deluge-farmers-flood-grouse-moor-drain-land. Possibly Hebden Bridge and the surrounding areas can look to other places which have come up with ingenious ways to limit any damage. But what about the here and now? I’ve felt really useless over the last couple of weeks not knowing how I could help, so I thought the least I could do was to write about what has happened and to tell you about the appeal Sarah, the friend who introduced us to Ed, has set up. The idea is to raise £10,000 to keep the Snug Gallery alive. Although they managed to salvage their stock and reopen, there is a bigger problem. The town has been decimated and it will take quite a while to recover. Without visitors over the coming months shops like the Snug will find it difficult to keep going. By supporting Ed and his business you’re also supporting a community of craftspeople and this fabulous town. Ed has devised a tiered system of rewards to show his gratitude to all those who pledge their help which include Snug Gallery seeds, a limited edition print of Hebden taken by Ed, a vase created by Jill, a photographic walk around the town with Ed, or the ultimate bespoke Snug Gallery Experience. For more details of how to pledge and how you’ll be helping go to https://crowdfunding.justgiving.com/sarah-statham-4. To see more about the Snug Gallery http://www.snug-gallery.com/ and to find out more about the fantastic rewards go to https://www.instagram.com/snug_gallery/. I’m sure normality will return to the area soon and Hebden Bridge will be ready to welcome visitors once again. If you get a chance do go. Hopefully you’ll get a taste of why this is such a fabulous place. Wishing you all a happy, healthy and prosperous 2016. And to all those who have suffered in the recent flooding I hope some kinder weather is on the way. The SAD lamp is at full whack, I have twinkly fairy lights decorating pretty much every available surface and enough candles to get us through a winter of power cuts but even this isn’t enough when we’ve had the dullest November since 1929 (Met Office) and December is continuing in the same vein. I’m now resorting to trawling through photos of the spring and summer in an attempt to alleviate the relentlessness of the grey. This is admittedly a risky strategy as gazing at images washed with colours and warmth and then staring out at rain splattered windows and a murky sky could, rather than raise the spirits, make me retreat under my duvet until March. It wasn’t as if it was a summer which would go down as a classic in terms of weather, a rather typical cool affair and an August which was another wash out. Looking through the photos, one day does stand out and not just because the weather was so perfect. As a belated birthday day out for Wellyman we decided to revisit Hidcote, a garden we had last been to over 10 years ago, and combine it with a trip to a garden that for some reason had up until that point passed us by, Kiftsgate. It was the end of June, beautifully warm but not too hot and not a cloud in the sky. Hidcote was a joy. The 10-year redevelopment plan undertaken since our last visit had made a huge difference to the visitor experience and the planting. There was a nice touch as we bought our tickets and wandered into the house where Lawrence Johnston, the creator of Hidcote, used to live. It was staged as if it was the 1930s with music playing and fresh flowers in vases. You could imagine Johnston had just popped out to play a game of tennis or wander around his garden. Visitors are free to plonk themselves down on the squishy sofa and drink in the atmosphere. You can also grab a racquet and a ball and take to the tennis court if you want. I remember from our last visit this being an empty, unused space but now it has a net and equipment for visitors to have a game. We had a go, although to call it tennis would be much too flattering, but it was fun. 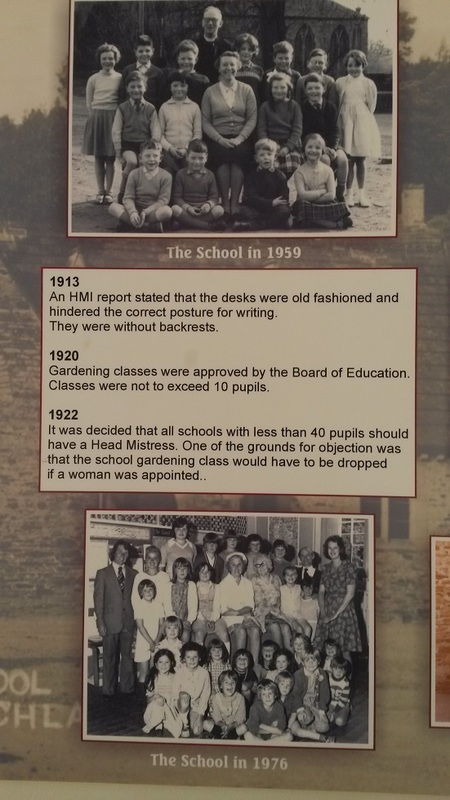 I know the National Trust has come in for some stick in recent years for its policy to be more inclusive by encouraging guests to immerse themselves in a visit. For some it’s the Disneyfication of our culture for me it was a few simple touches which made it a more enjoyable experience and which brought the place to life. As for the gardens, well, they were stunning and much improved. Hidcote is one of the National Trust’s most popular gardens and one of the country’s best examples of an Arts and Crafts garden. Why’s it so popular? Probably because it exemplifies what most of us think of as the classic English garden. Interestingly though Hidcote was created by an American, albeit one who fought in the British Army and became a naturalised citizen, and owes much of its design and the formal layout to Italian gardens. The planting was voluptuous as you would expect for a garden in late June and it’s this billowing planting, spilling from the formal beds, that makes Hidcote so special. Of course, the stunning setting and beautiful honeyed stone of the Cotswold house help enormously too. Looking back the photos have reminded me how it was such a fabulous year for roses and they looked incredible at Hidcote. Perhaps my favourite spot and an area which had seen the most change since we were last here was the lily pool, plant house and the flowers beds surrounding the two. Johnston’s original plant house had fallen into disrepair and was removed in the 1950s but the National Trust have built a new one, which has meant the return of sub-tropical plants to the gardens. The planting in the beds surrounding it and the lily pond was just beautiful. Then came Kiftsgate which is literally just across the road from Hidcote. Even though we’d lived in the area years ago we had never visited this garden. We had arranged to meet Harriet a friend we had met via Twitter who lived nearby. There’s something extra special about sharing a garden visit with people as equally obsessed by plants as you. I’m sure we’ve all visited a garden with a non-gardener before and realised the different wavelengths you’re both on when they glaze over at the first mention of a plant name. Then there’s the wanting to linger by a particular planting combination or ducking down to search for plant label to turn around and see your companion disappearing off at a great lick in search of tea and coffee. It can be a painful experience for both parties. I’m lucky Wellyman shares my passion but it was an added bonus to wander around with Harriet. Kiftsgate has many similarities to Hidcote. It was created by Heather Muir at the same time Johnston was creating Hidcote. Heather and her husband weren’t gardeners and there was a blank canvas when they moved to Kiftsgate. It was Johnston who encouraged Heather to create the structure of the garden. There’s an Italianate flavour with formality in the layout and the steep bank with its dramatic view across to the Malvern Hills terraced in the 1930s by Italian gardeners. The garden is now gardened by her granddaughter Anne Chambers. The iconic image of Kiftsgate is the reflective pool with its bronze gilt leaved sculptures hovering above the water on the site of the old tennis court. I liked the change of pace it gave the garden and the modern minimal feel which was such a contrast to the rest of the garden. As for planting, well it was a feast for the eyes. From roses and geraniums to the stunning yellow border. Something that really caught my eye were the mounds of honeysuckle. They didn’t appear to be climbing varieties that had been trimmed but they were growing like neat shrubs. The plant list suggests it’s a bush form of Lonicera belgica but I can’t find any reference to this online. Has anyone any ideas? 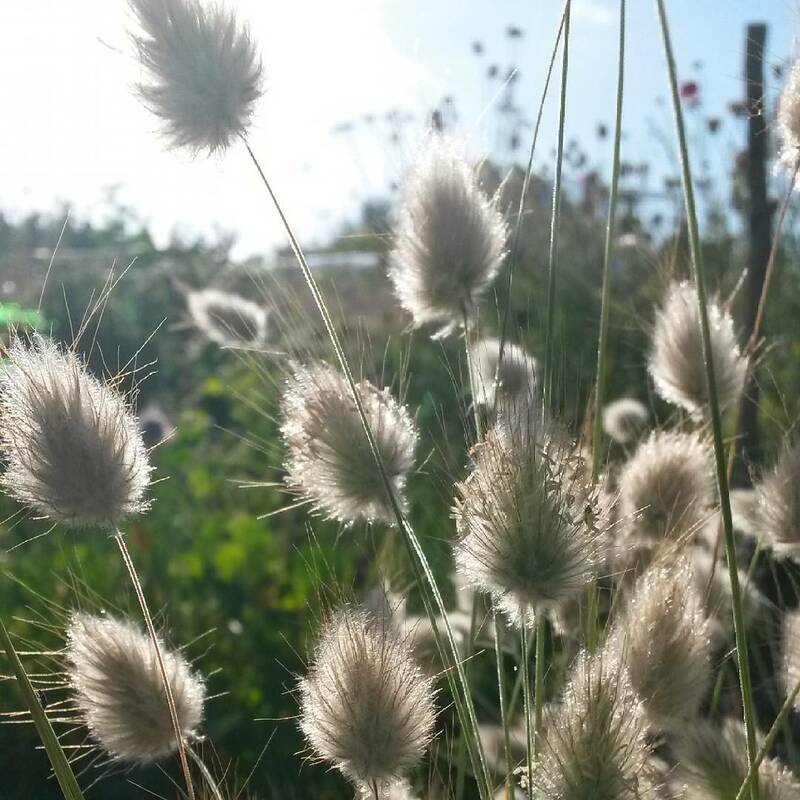 I loved this Pennisetum ‘Red Buttons’ which had been used en masse lining the edge of a path in the same way lavender is often used. It’s a day that, looking back at it now, prods me in the direction of what I want from the coming a year. To experience more gardens, spend more time with friends and meet more people who share my love of plants. Well maybe that’s going a bit far but a bit of a garden revamp has certainly reignited my interest in my own back garden. This time last year both Wellyman and I were excited about the prospect of moving house but when we decided to put that on hold I pretty much lost my gardening mojo. I had entered into gardening limbo. As the summer progressed it got worse. I was still growing for work but inside my heart wasn’t in it. I spent a lot of time wracking my brain as to how to marry the situation with my need for a change. I didn’t want to spend much money and didn’t have the inclination to rip out everything I had planted over the last 8 years and start again. The idea of creating a cutting garden had been at the back of my mind for a while. A space packed with shrubs, bulbs and herbaceous perennials which would supplement the annuals from the cut flower patch. A place where everything could be picked for a vase. I’d always planned for it to be in another garden, somewhere a little bigger, where I could start from scratch. I hummed and hawed over whether it would be worth trying it here and if I actually had the space to do it. After 7 years of being in place the raised beds needed a few repairs anyway and the pond no longer worked where it was. So a few weekends ago we bit the bullet. Wellyman cleverly rejigged the raised bed configuration. By removing a few oak boards we incorporated a path into the beds and reusing the boards meant we didn’t need to spend any money. The next job was to move the pond. I say pond, it’s more of a puddle to be honest, one of those preformed liners. It’s initial spot was fine, but then the greenhouse came along which made access to the pond tricky. Cleaning out pond weed required Wellyman (his longer arms were needed) to perform a yoga-like balancing act. Being tucked away meant not only did it not get cleaned as frequently as it should have but we also didn’t get to appreciate it. We did consider removing it completely, to put the space to better use, but we thought we’d at least try it out in its new location and then decide. Wellyman decanted two-thirds of the water into trugs and we gingerly lifted it out of the ground. Then two little eyes appeared. There was a frog staring back at us looking a little perturbed by the disturbance and us rudely waking him up on a Sunday morning. Well, what could we do? The decision was made for us, we could hardly make him/her homeless, so the pond is to stay, albeit in a new, more accessible spot. Plants were divided and some went to the compost heap making way for others which had been sitting in pots waiting for a new home. Out have come grasses, a helenium, and some sedums, in has gone a small, repeat flowering lilac, a Viburnum opulus and some hesperantha. With time soil had made its way on to the gravel paths, so much so that I’ve had as many plants sprouting in the paths as in the raised beds this summer. As everything was getting an overhaul the gravel was moved on to plastic sheets whilst the weed membrane was swept. We made a fantastic muddy mess by washing the gravel to remove any soil and plant material before putting it all back on top of the membrane. Working outside at this time of year brings its problems. For a couple of weeks after the clocks change, the shorter days take me by surprise. You come back after a break for lunch and realise there’s so much still to do but that daylight is already slipping away. I seem to have spent quite a bit of time in recent weeks scrabbling around in the dark with a torch perched precariously whilst bulb planting, tidying out the greenhouse or potting up plants. I think a head torch might be making it to the top of my Christmas list this year. The other problem is mud. It’s impossible to do anything in the garden without creating a mess and the damp weather means nothing dries out. You start this kind of work with the best intentions taking wellies off every time you come indoors but when the phone rings and you’re trying to do the welly removal dance at speed or you’ve forgotten something for the umpteenth time it’s all becomes too much of a faff. The wellies remain on and the floor starts to resemble the mud splattered patio. Then there’s the clothes. It was hard to tell if there were gloves under the hand-shaped clumps of mud which Wellyman left by the back door. I didn’t think a patio caked in mud was what the magazine editor and photographer would be looking for to accompany shots of spring bulb planting. I’d scrubbed and scrubbed with a brush but it didn’t seem to make the flagstones look any cleaner. Day after day of thick fog and moisture saturating every surface didn’t help. I was contemplating hiring a pressure washer at one point, until I woke one morning to the sound of rain pelting the roof and more importantly the patio. Every cloud has a silver lining. You can’t call what we did a garden redesign but I think it’s enough to fire my imagination for another couple of years. 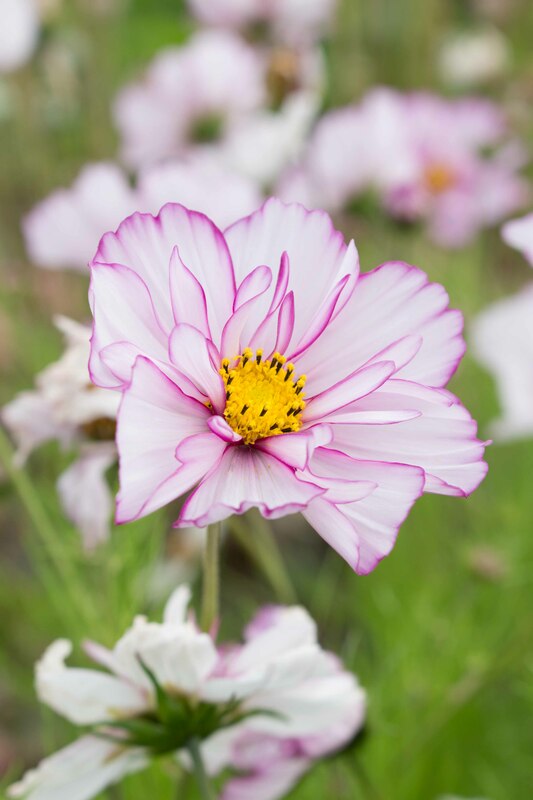 It’ll give me the opportunity to grow new plants, to experiment in the garden and in the vase, and to excite me as to how elements of the garden will change through the seasons. And, perhaps most importantly for now, there’ll be lots of lists and scribblings this winter as I scour the plant and seed catalogues. Have you got any plans, grand or small, for your garden this autumn/winter? I’ve always been a great believer in the adage ‘a tidy house, a tidy mind’. There definitely seems to be a correlation between how clean the space is around me and how clear my brain feels in order to get on with work. Perhaps that’s why I’ve noticed in the last few years the fog that descends on me in August as the garden takes on a slightly wild appearance and I realise that it’s in control and not me. It’s not that I want a garden which is pristine. I prefer a relaxed space with plants tumbling over paths and self-seeded plants popping up in unexpected places, but there is a line where relaxed becomes chaotic. I’m sure I’m not alone in the reluctance to remove or cut back plants which are past their best but still flowering. With autumn comes a release, the freedom to feel able to empty pots of their tired and overgrown bedding plants, to pull out those annuals which have seen better days. It all feels very therapeutic. October will be a busy month and time in the garden will be in short supply so we’ve made the most of this brief Indian Summer to gain some control. Pots have been cleared and replanted with violas for autumn and winter cheer, hanging baskets have been dismantled, the compost heap has been emptied, the last of the tomatoes picked. Then there was the plot. Work up there is restricted to weekends now but at least I’ve got Wellyman helping out now that he has finished his degree. Apart from brief trips to pick flowers or collect some fruit and vegetables it had been over three weeks since I’d done any work on the plot. I felt a bit guilty it had been so neglected but there’s nothing like a spot of weeding and deadheading to give you the chance to mull over the year and think about what you’ve learnt, the successes and failures, what you want to grow next year and what isn’t worth devoting soil to anymore. You can have too many pots – they overwhelmed me and the patio this year. Many of them were for work so were a necessary nuisance. But it has shown me the need for space in a garden particularly if you don’t have a lawn. I can’t believe I’m saying this, but you can have too many plants. It’s surprising how inconvenient it can be to have lettuce and herbs growing on the plot rather than at home. It’s only five minutes away but it might as well be the other end of the country when I’m mid-sandwich prep and realise I’m short on salad. It would make sense to have these in pots at home but I refer you to my previous point. The frustrating and unfathomable nature of nature. Wasps have plagued our raspberries this year. Apart from them adding a certain amount of frisson to the picking process – Russian roulette with a sting rather than a bullet – they have the annoying habit of eating a hole in the base of a raspberry and then moving on to the next where they do the same. If they all clubbed together and at least picked a berry and ate the whole thing I wouldn’t mind so much, we all have to eat, but no, they work their way through our raspberry patch nibbling away as if they’re at a food festival and want to try a bit of everything. I love growing potatoes. For several years I haven’t bothered with the humble spud but back in January we were in a garden centre looking for something else and ended up coming out with a few paper bags of seed potatoes. Perhaps I’ve loved them so much because for very little effort they reward you handsomely. I’m looking to double the amount for next year. Any recommendations gratefully received. I can’t get enough of dahlias. As with the potatoes these fabulous plants need so little attention and yet they just keep on producing the most exquisite of flowers. They’re happiness in a vase. If the bank balance will take it, a whole bed will be given over to them next year. Despite feeling like I can’t keep on top of everything I can’t bring myself to hand in the allotment. I don’t spend as much time up there now as I first did. But where would I grow all those potatoes and dahlias if I didn’t have my little patch of land. Nobody mentions storage when they extol the virtues of growing your own produce. We had over 60 apples from one small espaliered apple tree this year. Fabulous! That is until you have to find somewhere to store them all. I look at those beautiful wooden apple storage racks that appear in stylish gardening magazines at this time of year and wonder who has the space for them – I can’t get into my downstairs loo because it’s become home to a trug for the recycling, vases which won’t fit anywhere else and a collection of pots filled with ‘Paper White’ narcissi for forcing. Best I stick to early potatoes next year. I need to be more ruthless. We have three rhubarb plants – two is plenty. I’ve been meaning to get rid of one of them for a few years now but never seem to get round to it. It’s the same with flowers. I seem to grow some each year despite not really using them as cut flowers. I’m finding that my flower patch is a bit like my wardrobe – I have my favourites that I go to all the time and others go untouched. Fashion magazines talk about capsule wardrobes – does anyone ever achieve that, even the top stylists must have something lurking in their wardrobe that they thought was a good idea when they bought it but they’ve never actually worn it. 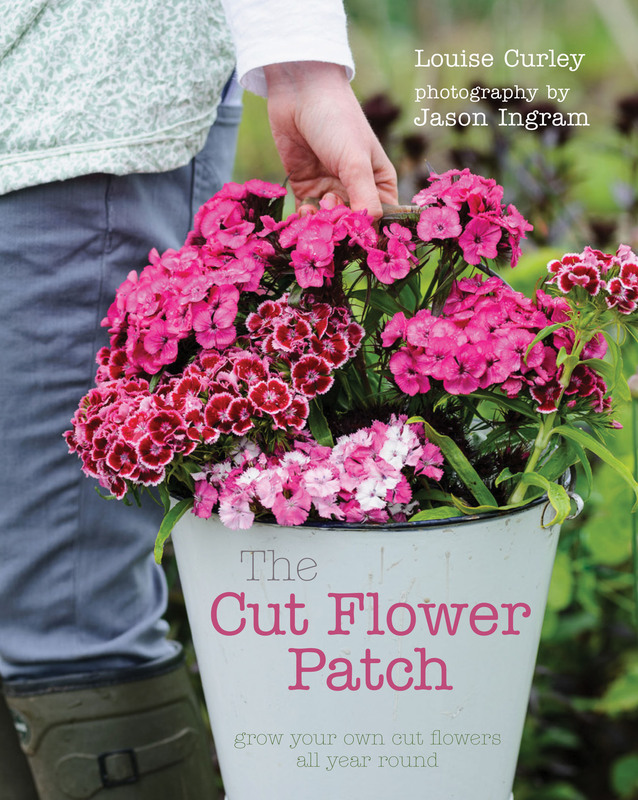 Well I think I need to attempt a flower version of the capsule wardrobe with my cutting patch. 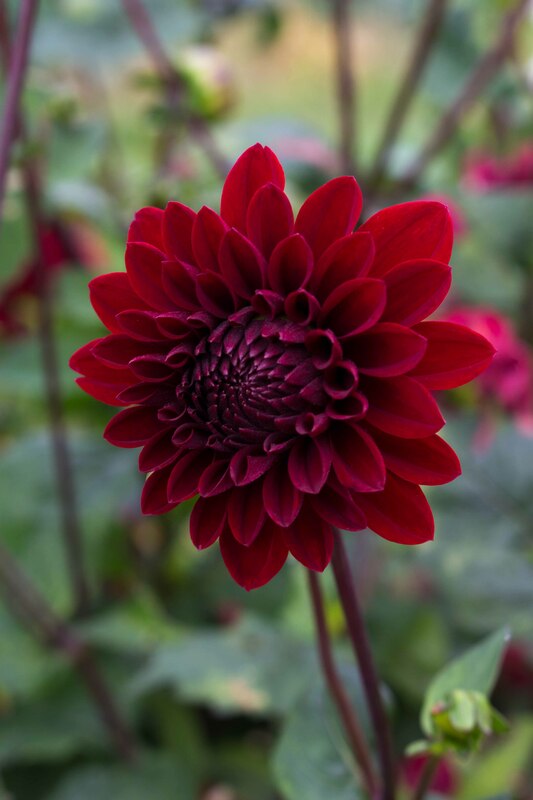 I need to ruthless with flowers that are taking up valuable space and ditch them next year, then I can squeeze in some more dahlias. Last year I’d missed the opportunity to sow some green manure and I really regretted it. I don’t like to see bare soil over winter particularly after persistent heavy rain when the soil takes on a pulverized look. 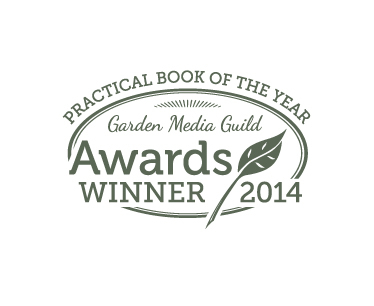 It can be tricky using green manures though. That desire to eek out plants for as long as possible (this seems to be a running theme) means that it can often be too late to sow a green manure so that it puts on enough growth at this time of year do actually do its job. Well, on Sunday any vegetables and flowers that had seen better days came out, the ground was cleared and raked and in went some winter rye grass. Hopefully by the end of the month it will have formed a tufty, green duvet to protect the soil over winter. I’d love to hear what you’ve taken away from this growing year. My first introduction to the world of home brewing was my dad’s concoctions bubbling and burping away in the corner of the living room – a strange soundtrack which accompanied our TV watching. Demijohns of wine were placed in this spot because the warmth of the nearby fire aided the fermentation process. On one occasion it aided it rather too much as red, winey bubbles exploded one evening as we watched Corrie*, peppering the wallpaper with frothy red stains. After this wine making was banished moved to the bathroom airing cupboard. Fascinated by the whole idea I decided aged 5 or so to undertake my own brewing. No alcohol was actually involved, just a rag-tag collection of dried fruit which had been lingering in the cupboard from the previous year’s Christmas cake making, various bits of fresh fruit, some sugar and a bucket of water. Oh, and I vaguely remember an enormous wooden spoon. The stirring of this weird mix kept me amused for a while but it never made it to the bottling stage. Then there was the inevitable tasting of home brew at university. A friend would bring back supplies of pea pod wine from her family’s farm in Shropshire, it was very much like The Good Life** and was potent stuff to fuel a party. In recent years more successful forays have included the fabulous jewel-coloured damson vodka which was opened with some ceremony on Christmas Eve in front of a roaring fire. 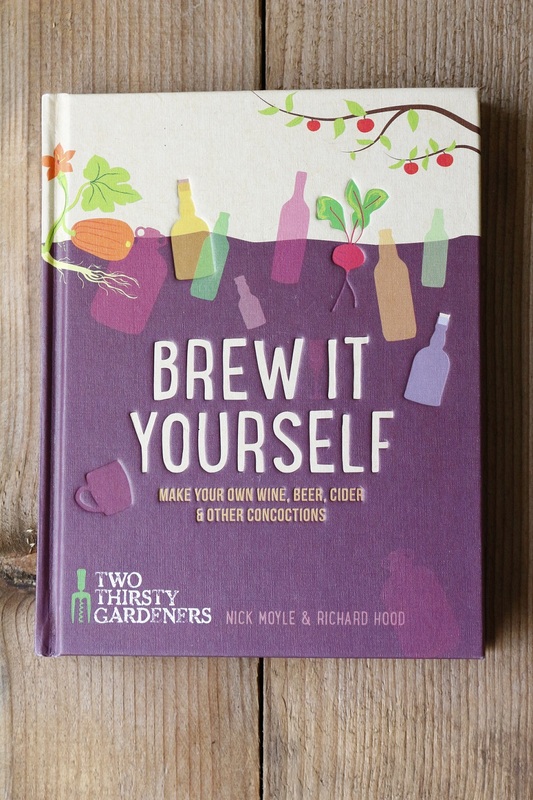 All this brings me to the book Brew It Yourself by the bloggers Two Thirsty Gardeners otherwise known as Nick Moyle and Richard Hood. There was a time when making your own booze was seen as the height of hippyness, all knitted sandals and face-puckering attempts at creating your own alcoholic drinks, but Nick and Richard have made it their mission to bring home brewing to a whole new audience. 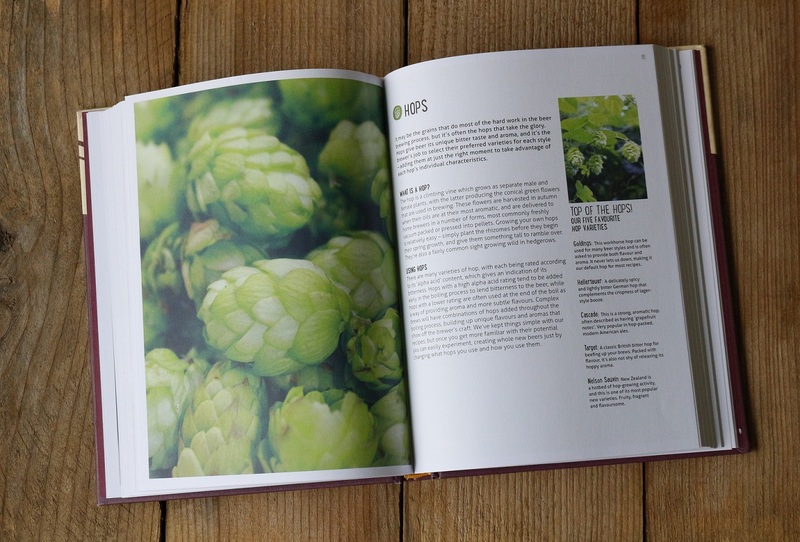 They’ve taken their two loves – gardening and alcohol – and created a book of over 70 different recipes which shows that home brewing can be fun, quick, inexpensive and tasty. Well, I loved it, as did Wellyman who kept disappearing off with the book if I put it down for any length of time. It’s well thought out with a good mix of recipes for those who want something quick and easy such as liqueurs which can take minutes to concoct, to those for the more experienced or adventurous brewer such as India pale ale which needs a few hours of your time. Nick and Richard take you through all of the basics you’ll need to get yourself started including how to use a hydrometer to measure the percentage of alcohol – you don’t need this or much other equipment for many of the simpler drinks. The different sections cover wine and mead, cider, beer, ale and lager, sparkling drinks, liqueurs and cocktails. 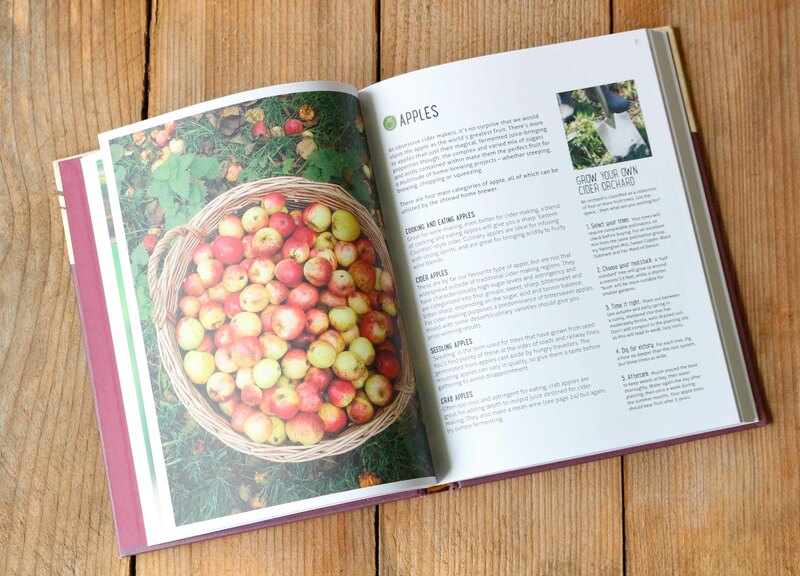 Alongside the recipes are interesting snippets and tips which makes it a thoroughly enjoyable read. I loved the design and stylish photography but most of all I thought the writing was engaging and witty. It was fascinating to discover how drinks that are part of our heritage are made, such as the fabulously named Lambswool traditionally drunk when wassailing. Inspiration from further afield has also been included – there’s Sima a Finnish drink using lemons or rumtopf from Germany among others. And for those who want to dip their toe into home brewing there are suggestions for liqueurs where you can buy the basic alcohol – either whisky, brandy or vodka – and then give it a home spun twist using fruit, herbs and spices. Nick has included a recipe devised by his mum, Julia’s Orange whisky with its star anise and cinnamon, which sounds just perfect for a Christmas present. And now’s the time to be using up gluts from the allotment and scouring the hedgerows. I do love the sound of the wild bramble brandy and the damson and fennel vodka, then there’s the cherry fortified red wine (you can use shop-bought wine). To be honest they all sound delicious. 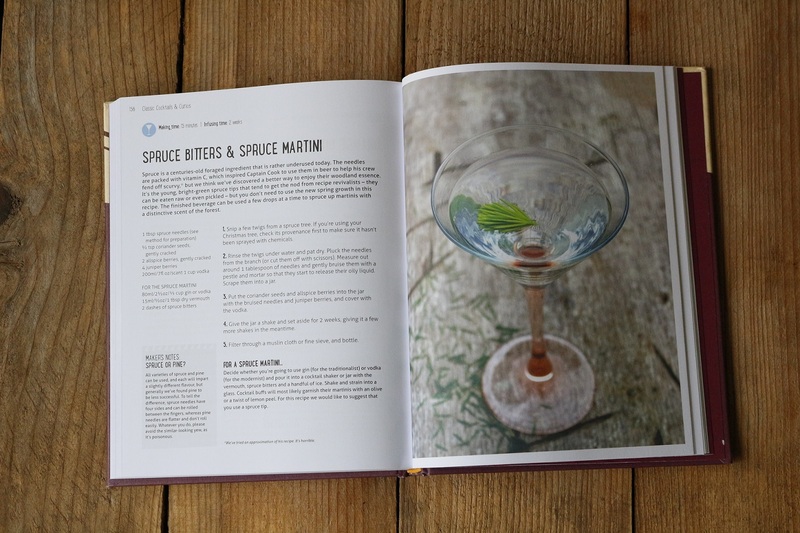 Not only could you create a variety of home-brewed bottles to impress family and friends with as Christmas presents but the book itself would make a fantastic present (sorry for mentioning the C word). *Coronation Street otherwise known as Corrie – a soap opera set in Manchester which has never surpassed its peak of Derek with his travelling gnome and car with a huge paperclip on top of it. ** The Good Life – Seventies TV comedy based around Tom and Barbara Good who decide to become self-sufficient in their suburban garden. Felicity Kendal who played Barbara did the seemingly impossible by looking gorgeous in dungarees whilst splattered in mud. Brew it Yourself is available to buy now. Thank you to Nourish Books for my review copy.